General Motors failed to fix their supply chain in the late '80s. Now GM and taxpayers are paying for it big time. Maybe now they are finally getting it right. · Supply chain really matters. It is a key factor in market share and survival. · No matter how big and dominant you are, you can't wait for a generational change to take place. By then it's way too late. 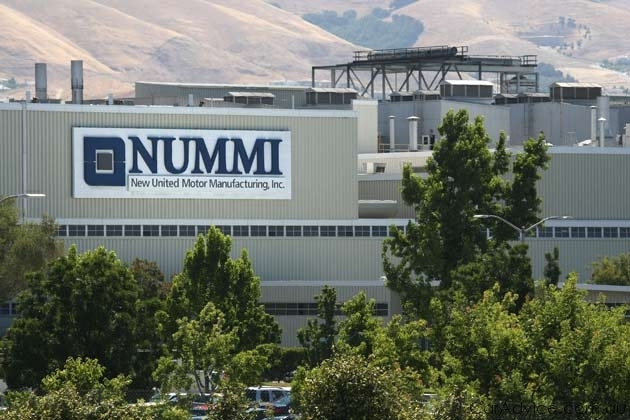 The future of the NUMMI plant is up in the air. Ideas being floated include building a new stadium for the Oakland A's. Aurica Motors, an electric car manufacturer, is proposing to raise money so it can use the plant and save the jobs associated with it. The future of the American auto industry is also up in the air. We do see signs of life in a humbled and hopefully wiser GM. Their PR agency is touting the "reinvention of GM", getting leaner, with fewer branders, greater efficiencies, and service excellence. Chrysler seems to be in worse shape and Ford seems to be in better shape. In any case, we wish the best for the Detroit automakers, and success will come from building the right vehicles at the right time with the right state-of-the-art supply chains.